In the wake of the Volkswagen diesel-emissions scandal, Peugeot Citroen wants to set the record straight about its oil burners. Specifically, the French automaker plans to publish what it says are “real world” fuel economy figures, as opposed to the official “European driving cycle” numbers that we’re always saying are a little, uh, optimistic. After all, do people really believe that a Peugeot 308 sedan gets 73 miles per gallon? Peugeot Citroen is working with two environmental groups – Transport & Environment and France Nature Environment – on conducting the trials and recording the figures, says Phys Org. The so-called Worldwide Harmonized Light Vehicles Test Procedures would essentially supplant the New European Driving Cycle (NEDC) numbers when it comes to tracking realistic fuel-economy levels.Already, the automaker has released figures on three models – the aforementioned 308 sedan the Citroen C4 Picasso, and the subcompact DS3 – after driving them empty, loaded up, on highways, on city streets and with the air-conditioning cranked. Not surprisingly, fuel consumption levels went up compared to the official figures. Specifically, the 308’s fuel economy dropped from 73 miles per gallon to 47. The Picasso’s fuel efficiency fell from 59 to 42 mpg, and the DS3’s declined from 65 to 48. Those are still pretty good numbers, but not NEDC levels. All three of those models have 1.6-liter 120-horsepower diesel engines, by the way. 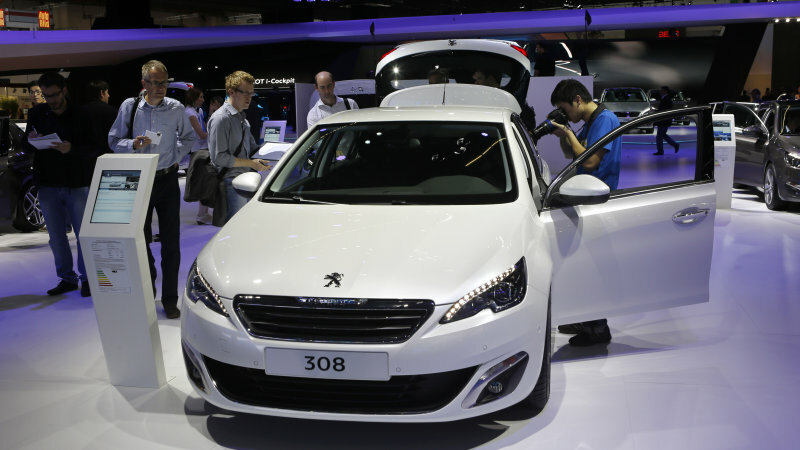 Peugeot Citroen, which first said it would attempt to release real-world fuel economy figures last November, says it’s the first automaker to do this, and will roll out more of these unofficial but adjusted fuel-economy figures for 30 of its models by the end of this summer. It’s worth noting that the US Environmental Protection Agency (EPA) in recent years has been trying to offering more realistic fuel-economy figures while also including space on its website for drivers to measure their own mpg figures and submit those figures for publication. For instance, the 2016 Volkswagen Golf with a 1.8-liter gas engine paired with an automatic transmission came in with a user-submitted 28.6 mpg for combined city and highway driving, versus the combined EPA rating of 29 mpg, while the manual version’s user-submitted numbers actually came in 3 mpg ahead of the 30 combined EPA rating. You take your victories where you can.